College students who earn Cs should take heart: So-so grades don't always get in the way of success — or philanthropy — as Steve Grossman's example serves to remind. The University of Vermont announced Friday that Grossman is giving $20 million to his alma mater. 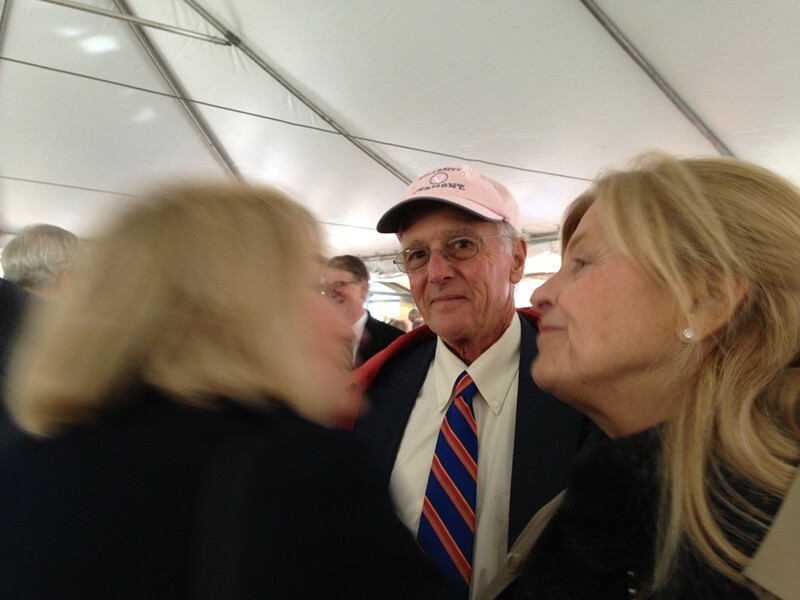 In response, the trustees voted to put his name on the business school, the recipient of the gift. It will henceforth be called the Grossman School of Business. At a ceremony on campus, Grossman talked about the importance of his UVM education. Then Grossman divulged to the crowd of trustees, deans, administrators and students: "I want you to know I was a C student." Grossman, a New York City resident, made his fortune selling cardboard boxes with Southern Container Corporation. His Russian immigrant grandfather started the business in 1904, and it grew substantially over the decades until the family sold it in 2008 for $851 million. Grossman credited his father and grandfather for passing down the ethic "to give back to the communities and the people that made our success possible." The company had sales of $750 million and 1,300 employees when Grossman decided to sell, but only to the right buyer. "We didn't want to sell and have the company dismembered, taken apart and a bunch of people fired," Grossman said. "That made the task a lot harder." Rock-Tenn purchased Southern Container and agreed to the terms. Nobody was fired and most people are making a lot more money than they did when Grossman ran the company, he said. The gift is Grossman's way of honoring UVM. "I had some of the best years of my life here," he said. "Not only did I have fun but I also felt I received an excellent education. Almost everything that I learned here, I used in my years at Southern Container, helping to grow the business." The Grossman Foundation has already donated $10 million of the $20 million. That part of the gift was made in 2013 to support programming including three new endowed academic positions in the business school. The remaining $10 million will support teaching and programming as well. It comes with an incentive. If UVM raises $10 million to match it, the Grossman Foundation will give another $5 million, said business school dean Sanjay Sharma. 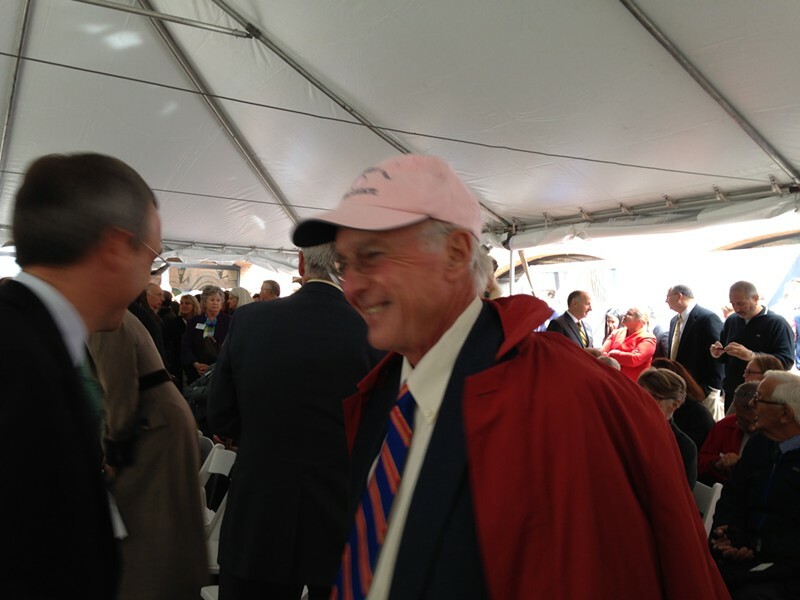 He and others, including UVM president Tom Sullivan, said the gift had the potential to help the business school grow its reputation and build on recent successes. Also Friday, UVM announced a broader fundraising campaign of $500 million called Move Mountains to recruit top scholars and fund scholarships across disciplines, from the humanities to science and technology. Almost half the money has already been raised in what UVM termed a "silent phase" since 2011. 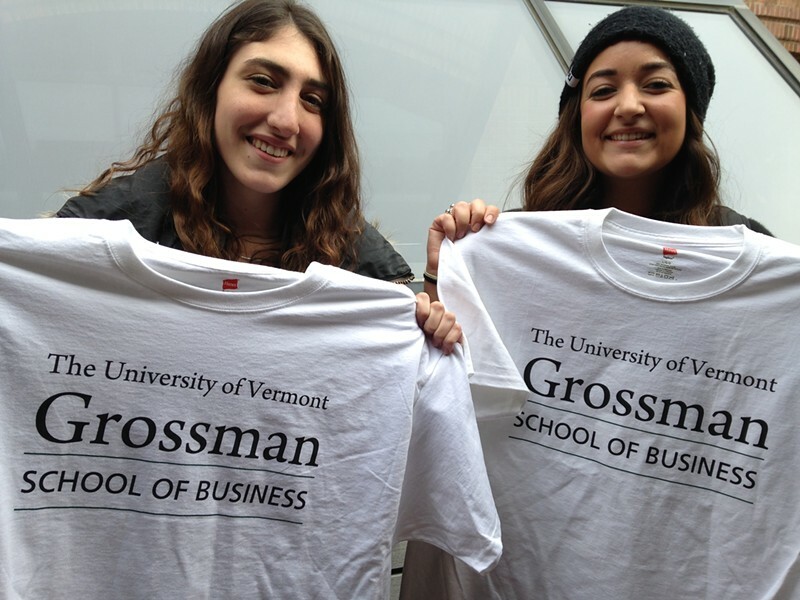 After the speeches honoring Grossman in the courtyard next to Kalkin Hall, students were invited to the back of the tent to collect free Grossman School of Business T-shirts. The $20 million gift is "absolutely incredible," said Zoe Urban, a 20-year-old junior business school student from New York City, as she collected a T-shirt. And how about Grossman's C average? Urban said if that's what it takes to give $20 million, perhaps her own B average will spur an even bigger gift. "I'll donate forty," she quipped.